Before I elaborate on the implementation of IPv6 in Romania, I'd like to briefly explain what Internet Protocol version 6 is and why its implementation is necessary. Most computer users are aware of the notion of IP, but surprisingly few people know exactly what an IP is. The Internet Protocol designates addresses to machines connected to a network, and uses them for all connections, just like a telephone company assigns phone numbers to its customers, to generate connections between clients. Since 1982, networked machines have been using IPv4 addresses, a series of four 8 bit numerical values from 0 to 255 divided by a ". ", or more accurately, a 32-bit identifier. This addressing system allowed a maximum of 232 possible addresses. For those of you who don't like math, that's over 4 billion possible addresses. So why is it necessary to upgrade this protocol? Well, It's necessary because, as studies made in the early 1990s have shown, IPv4 exhaustion is not only a possibility, but it will happen within less than 10 years. Aside from the obvious growth in the address space, the new protocol also offers other improvements over IPv4, in areas such as mobility. Even more, IPv6 avoids triangulated routing, enhancing the connection’s efficiency to parameters that are similar to those of native IPs. If IPv6 offers more than IPv4, why don't we perform the transition already? The problem with implementing the new system is that IPv4 and IPv6 were not conceived to be interoperable. As such, IPv4 and IPv6 systems require specifically designed gateways or tunneling mechanisms, in order to work together. As an added impediment, since the IPv4 system is in place for a few years, the transition requires some work from involved parties - but most, if not all, have shown interest in this endeavor. Service providers from Romania are truly making an effort to enhance the adoption rate, in order to ensure that the best services are available to their customers. 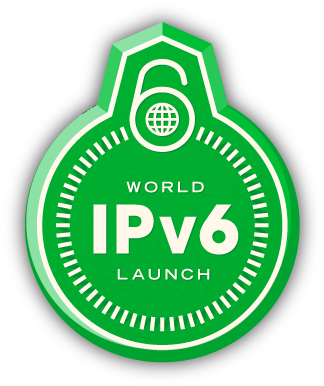 As a result, after the IPv6 Launch Day event that took place on June 6, 2012, Romania occupied first place in the adoption chart with a rate of 7.75%, according to the website of an Internet provider from Romania. If you’d like an update overview of the process, Google constantly monitors and keeps updated charts of IPv6 adoption. The latest polls show that Romania has a current adoption rate of 7.52%. It might seem small, but Romania has the second highest rate worldwide, surpassed only by Switzerland, which is currently at 10.04%. What impact will the transition process have on end users? The answer is none. Manufacturers of networking hardware worldwide have been selling IPv6 ready equipment for some time now, while service providers have been adapting their systems to offer a Dual-Stack configuration. Since most of the current operating systems on the market feature built-in support for IPv6, Internet users don't have to change a thing in order to benefit from this most important upgrade. In fact, the biggest change ever (to affect cyber space) is taking place under our noses, and most people will never even know it, thanks to the foresight of Internet specialists and service providers. If you have an opinion on IPv6, we'd love to read about it, so feel free to leave a comment on this thread.